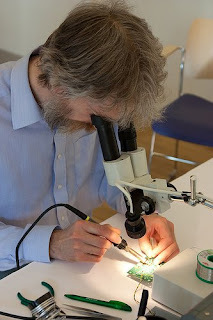 Anyone know where you can get one of these microscopes? Whilst rummaging for 'things' in the shack I discovered a plastic box containing a collection of 23cm ATV 'stuff' I was going to try and build into something back in 2004. Anyway I discover I have two unmodified, original COMTECH modules RX and TX (G1MFG, not platinum or gold completely unmodified) and a controller board by G6ALU. I think some modifications are needed. I bought a couple of SMA to BNC connectors for the antenna sockets and there is a relay in the box as well as a couple of small cameras from FArnell, one colour and a couple B&W. With microphones I think. Also there is a complete Mitsubushi Brick 20W PA kit. The local repeater is GB3PV (23cm) so I might try and get a station up and running. 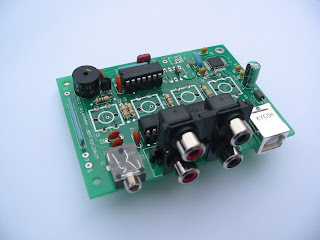 Just about finished the AA0ZZ HF VFO and still working on the IQPro but started on working one of these into a TCVR. Based on the R2 and T2, then Micro R2/T2 going to attempt a prototype T2Pro. Just etched the boards from W1KF to see what is possible. 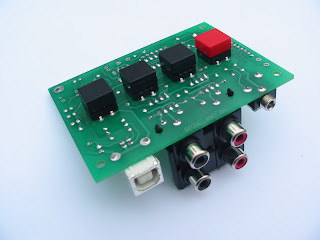 Took a break from SMT stuff for a bit (IQPro) and just finished building a kit that arrived Friday. 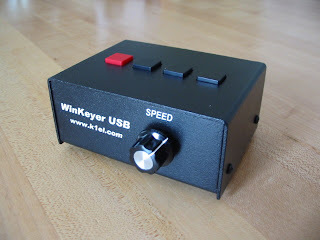 The WinKey USB from K1EL. Took just over an hour to complete and worked first time, into dummy load tried out with Wintest. I have gone for the option to add batteries so I can run it free standing as well as with a PC. I have the old Winkey Serial interface that I built a while back but I do not travel with a laptop with a COM port so as per many operator I have updated this. Not that I operate CW much from QTH or /P but I am sending more and hopefully this will help. These are the official images my own build is identical. 1. What is with the damned phone connectors? Why not 3.5mm jacks. Anyway I guess I'll be making up some leads too. 2. 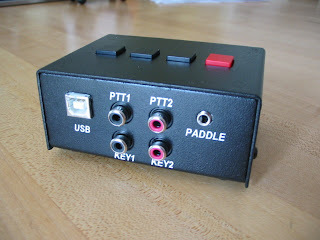 The rest of the enclosure is printed so why not the 4 buttons on top?